This is the first book in the Kanin chronicles series and it's about a girl named Bryn who is a half-troll. Trolls look human but have special abilities. The Troll kingdoms have babies that they send out to the human world called 'changelings'. Wealthy human parents adopt them not knowing what they really are, but once they turn 18 they need to come back to the Troll Kingdom along with the money they have inherited. Bryn's job is to find these Troll babies/children and return them. She is a Tracker. Bryn's father is attacked by her idol named Konstanin who is a bodyguard for the King. He claims he did not want to do it. She also finds out that he is tracking the same changeling as her. The book is about her quest to find out why and what is happening. Warning! This book is definitely for older readers! Rated: 5/5 - "I liked the way it was written - it was so good I spent 24/7 reading it!" Zoe lives with her dad and (horrible) stepmother Sheila. They live on the 37th floor of an apartment. Zoe is not happy there. One day she finds a rat in her bedroom and she adopts him but she has to keep him a secret. At school her rat sits on her head and she is suspended from school. Her stepmother finds out and is very angry and calls the exterminator who wants to turn her pet rat into a ratburger. Rated: 5/5 - "Interesting - recommend it for Grade 2 & up." 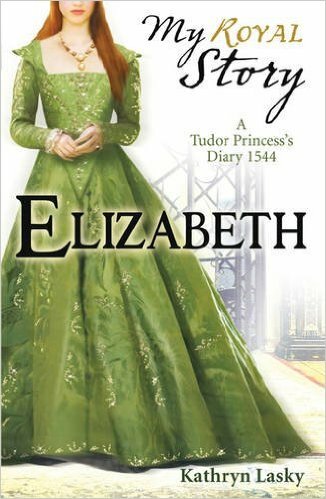 It's 1544 and the story is about Elizabeth, the daughter of Anne Boleyn and King Henry 8th. Elizabeth's step-sister is Princess Mary. Mary is really mean to her and Elizabeth feels invisible and forgotten. She feels sad in most of the book because she was banished. I think this book is good for those over the age of 7. Rated: 5/5 - "I've read it before and I liked it. I'm too scared to try new books." 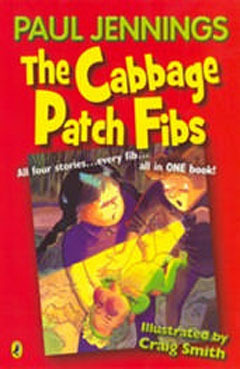 There are four stories in this book and I am reading the Cabbage Patch Fib story. Chris and his dad are watching Doctor Who on TV and then his dad switches it off. The dad asks 'What shall the family talk about?' and Chris asks how babies are made. His Dad tells him that they are spawned from a cabbage patch at night. That night Chris goes out into the garden and finds a baby in a cabbage. At first he thinks it's fun but then he has to bring it to school and feed and change it ... and he can't play with his friends. He doesn't want it anymore so he brings it back to the garden. Then his sister wants the cabbage patch baby but then when she has to look after it they try to bring the baby back to the garden. Rated: 5/5 - "It's very funny." The book is about four kids - Sticky, Rennie, Kate and Constance - who haven't seen each other for a while (since their last mission). The children are all orphans although Constance has been adopted by Mr Benedict. They have to go on a mission to save Mr Benedict after he has been kidnapped by his evil twin brother Mr Curtain. They go on a long journey around the world because Mr Benedict has left them with a task and clues. They fight a miniature war against the 10 Men who work for Mr Curtain (they are named the 10 Men because they have ten ways of hurting you). They eventually find Mr Benedict. Rated: 5/5 - "Very interesting, the description and the plot is very good."